This is the perfect property if you have been looking for a vacation/rental property. 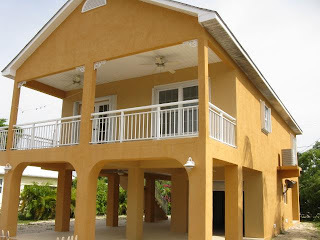 Seagulls is located in Tavernier and offers: Tennis Courts, sandy beach, pool, clubhouse and gym. This is a 2 bedroom unit with fantastic views for 212K. Private real estate financing has been around since land has been bought and sold. When banks don’t lend on certain properties for many different reasons, private financing is an excellent alternative. It is a win win for all involved. The private investor (person or institution lending the money) gets a much higher return on their money than it sitting in a bank, the seller gets to sell his property and the buyer obtains financing he would otherwise not be able to. Today the main reason private financing has been getting so popular is due to the tightening of underwriting guidelines such as credit and income requirements. Basically if you don’t have fairly good credit or can verify the right amount of income, you may not qualify for a loan irrelevant of the size of your down payment. In comes the private investor. Yes, the rate is higher and so are the fees but it allows the buyer to acquire the property they want now and work on the issues to be able to refinance into a better loan later. The average private loan is paid off within three years. The requirements are usually 35-50% down payment and rates from 8-14% depending on the scenario and property. The first place to look for a private loan is your friends and relatives. If they have the funds you are seeking sitting in a bank at 2% you can offer them a much higher return with the property securing the loan. The title agent or attorney can draw up all the paper work needed and help with all the details. Many times the best route to go is trying to get the current seller to hold the note for the first 3-5 years. The seller should be motivated by not only by selling his property but also by making interest on the sale of his property. In today’s real estate lending environment this option has become more popular than ever before for the obvious reasons. Never give up on trying to find the right financing for the home or property of your dreams. There are many different options to explore in the creative financing world. If you are in the market for a condo; this is the one to buy! Assigned Dockage (please contact me for details), a view and over 12000 SF living space. 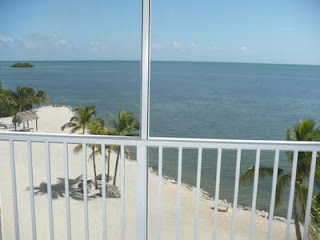 This unit is in Tamarind Bay, Key Largo, Mile Marker 103. 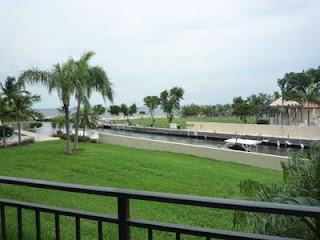 Amenities are: 2 Pools, tennis courts, gazebo on the bay and great dockage. Tamarind Bay is immaculately kept! This is the view from the unit. These are the lowest priced properties in each category. 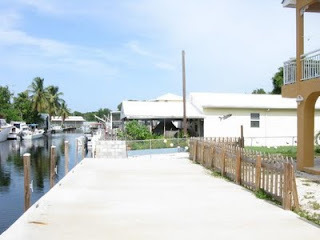 This is a 3 bedroom, 2 baths house on a canal in Key Largo with a great view over the bay. Don't wait; this won't last! If you are in the market for a water front home, you should buy very soon; activity and solds indicate that the 'botttom' came and went.